Veterans Honor Parkway is more than a roadway. It is a tribute to Highland veterans who tragically lost their lives while serving their nation. Banners are positioned along the roadway in honor of the veterans, kiosks with bronze plaques memorialize their lives and dedication to their country, and the road was renamed from Iberg to Veterans Honor Parkway in admiration of their service. Oates Associates’ planning and design involvement began with the successful completion of the Highland Peripheral Route Study in 1996. The route combines both existing roadways and new alignments to create the peripheral corridor around and through the city. 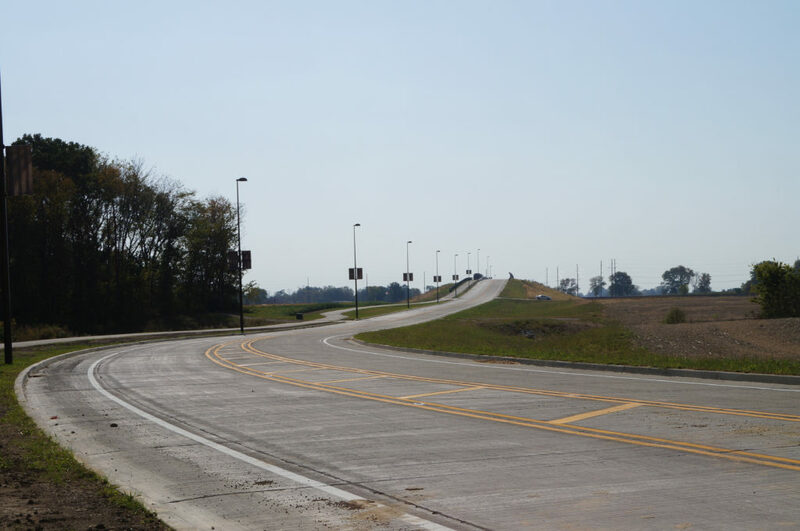 Oates completed data collection, traffic analyses and projections, alignment development, public involvement, and alignment approval and prepared a corridor protection plat. Veterans Honor Parkway is the final phase of the peripheral route. 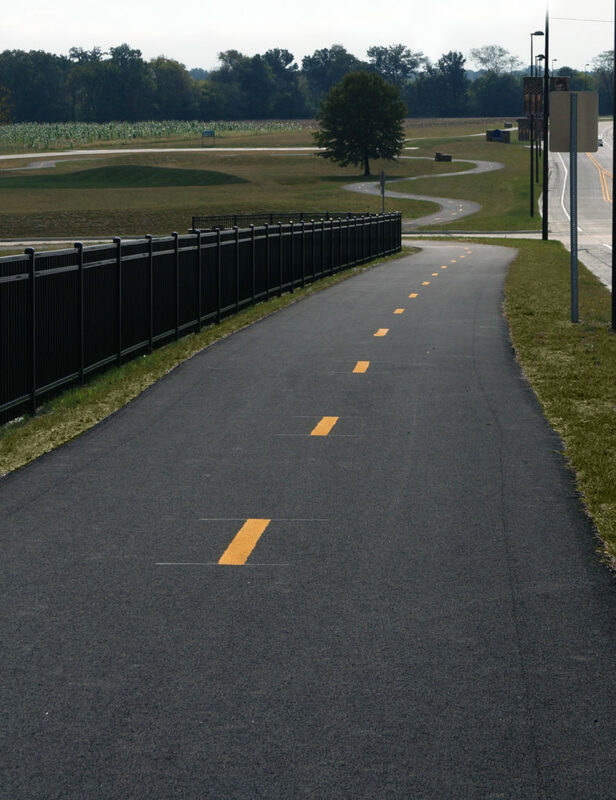 The 1.7 mile long Veterans Honor Parkway is a new roadway that includes a two-span bridge over the CSXT Railroad, a fully-actuated traffic signal at US Route 40, bike lanes and a shared-use path, a 3.3 acre retention pond, a 0.5 acre wetland, and a new 13 acre park. 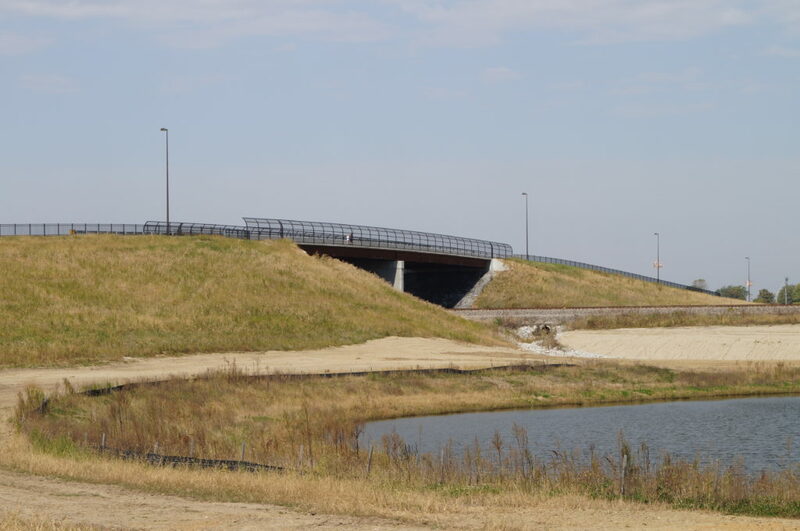 Oates Associates’ services included topographic and right of way survey; roadway, bridge, drainage, intersection, traffic signal and right of way design; plans, specifications and estimates; erosion control plans; park design; and construction staking and administration. 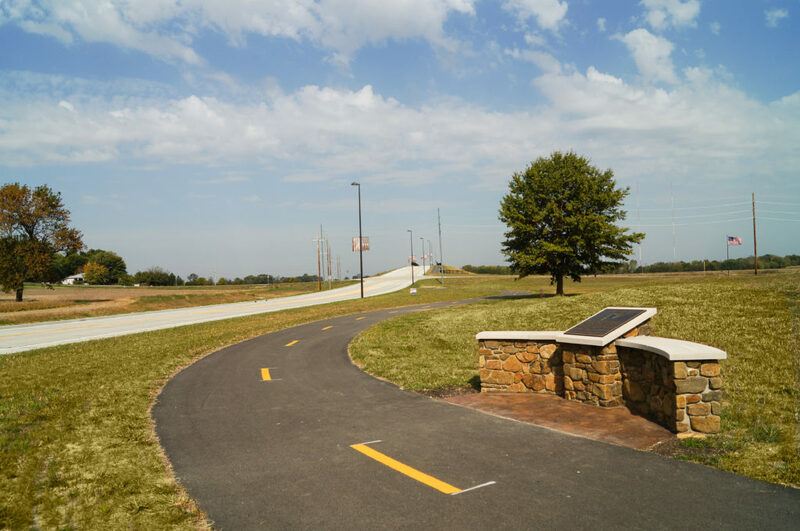 With Veterans Honor Parkway providing new access to undeveloped land, the City of Highland embarked on the creation of a new community park located along the route. Dennis H. Rinderer Park was developed to honor the efforts and devotion of Dennis Rinderer, a longtime resident of Highland. Mr. Rinderer, a banker in Highland, worked to acquire land for Veterans Honor Parkway. Oates Associates worked with city officials and the Rinderer family to develop and implement the vision for the park. The park offers a quality of life and healthier lifestyle, both from an active and passive perspective – for body and mind.